Jason Brewer and I are starting a Beach Boys podcast in conjunction with our tribute band SAIL ON. Been preparing for this for many years now and I'm super excited to finally get this rolling! In the first episode we discuss what brought us this far down the Beach Boys rabbit hole, list our top ten albums, and lay out what we hope to accomplish with the show. Thanks for listening! Hope you guys can help us grow into something special. Re: New Beach Boys Podcast! Congrats, guys! Listening right now! Great to hear two fans who know their stuff and have such a great attitude and enthusiasm for the band! Listening to Ep 1 now and loving it. Nice job, boys! Part of your opening musical sequence is ringing a bell. Is it from Will C.'s Adieu or Die? EDIT: Hah! Just got to the end where you mention using Will C.'s stuff. Seems like you expected that your high praise of Love You would spark some debate, and I'm game. I'm always looking for somebody to convince me that Love You is a decent record. Heck, that it's even worth a second listen (I've sat thru it at least a dozen times over the years trying to keep an open mind). You made an effort in this episode, but fell short. Specifically, what doesn't square with me is that most people who love that album start by calling it "genius," then follow that claim with stories about circumstances and context and where the Boys "were at the time." I understand how context can lend to a fan's appreciation of a song or album. That I get, but context does not good music make. What I don't get-- and what I hope you will explain in later episodes-- is how exactly the album is genius. I find nothing about the album genius. Musically, instrumentally, lyrically. Nothing. Please help me out here! All that said, I really like the informal format and thoughtful discussion. I can't wait until the next episode drops! Thanks guys! New episodes every Monday! To be honest, I don't consider the album "genius" nor do I think it is one of the best Beach Boys albums. It's simply one of my personal favorites. The emotion and story behind the songs is what makes it so important to me. I know it's not for everyone! I didn't care for it for many years. Great podcast, guys. Love the love for Love You! I just listened this morning! Great stuff! I’m looking forward to more! I made a comment under the fake name Rob Hendrick. But my real name is Magic Transistor Radio. No wait!.... my reality is a bit skewed! Excited to get some feedback! ... New episodes every Monday! I loooooved listening to this. I agreed with so many of the things you said, too, from the "All Beach Boys all the time" sentiment to your views on many of the records. I too would rank In Concert among my favorites. In fact, it would be my desert island BB disc if I had to pick. It just has everything I need on it, from the amazing 70s stuff to cool versions of the early hits to GV and Caroline, No. Also, so pleased to hear someone mention Our Car Club. One of my favorites, which doesn't get enough love in my view. I really really look forward to more of the podcasts. By the way, I really like what I've heard of the Explorers Club, but have had difficulty finding your records even in some of the best record stores. Love the cover of Freedom Wind - am I correct in thinking it's an homage to All Summer Long? However, 'How She Boogalooed It' is awesome. And yes, the first EC album cover is inspired by All Sunmer Long! Our newest record is an homage to Friends! Really really enjoyed the podcast! Looking forward to the next one,thanks guys. FYI Together was the first physical CD I had bought in 9 years .... AND I purchased at record shop NOT online. Freedom Wind blows my mind. 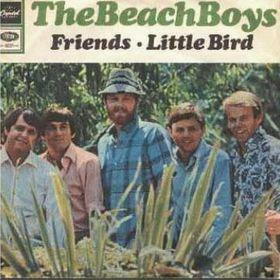 In fact, you might say it's one of my favorite Beach Boys albums. New episode up now! Covering the first recordings and performances of the Beach Boys in 1961-1962. Great idea incorporating the voicemails! I'm just a few minutes into the third episode, but just wanted to encourage others to check out the podcast if they haven't yet. Yeah, thanks! I wasn't sure how that would work out but I think we'll do it every couple episodes or so. I've enjoyed the episodes thus far and look forward to more. It's great to finally have a Beach Boys podcast out there! Thanks so much! New episodes every Monday! Listening to it now, great stuff! Congratulations! Not to nitpick, but there are several fan podcasts and podcast-ish productions out there, but most of them are really subpar or not widely accessible. There's a gawd-awful video podcast that some lady shoots in her living room. Pray for Surf(?) is pretty good, but I couldn't find it on iTunes the last time I checked. Ghosty's show is great, but YouTube isn't exactly the best delivery method for that type of content. Not sure about this podbean thing for Sail On (I think it's a crappy app), but I can get it on Apple's Podcast app, so I'm good. Sail On is the first good BB fan podcast that's also accessible. And I love it. 3 episodes in and loving it. This is now one of the highlights of my week! I sure hope you're able to find the time to keep it up. I know how time consuming podcasts can be! Just subscribed. Very excited to listen to them. Thanks for your work! Thanks for that. Yeah, mine was a radio show so it was mainly aimed at listeners in the NY/NJ/CT area but I put the interviews up on YT for those that may have missed them. David Beard also has his "Good Vibrations: A Beach Boys Program" podcast up on iTunes which is weekly interviews with Brian, Mike, Dean Torrence, Billy Hinsche, et al. "Sail On" is certainly an excellent show. Reminds me of the top Beatles discussion podcasts like "Something About The Beatles", "Things We Said Today" and "Fab 4 Free 4 All". Powered by SMF 1.1.21 | SMF © 2015, Simple Machines Page created in 0.452 seconds with 22 queries.